Painted as an interloper in the wake of Prince Charles and Diana’s divorce, Camilla Parker Bowles underwent an image overhaul before her 2005 wedding. In an adaptation from her book The Duchess, Penny Junor documents Parker Bowles’s road to the aisle. hen Sir Michael Peat arrived from Buckingham Palace in 2002 to take up the job as Prince Charles’s private secretary, he came with a clear agenda. 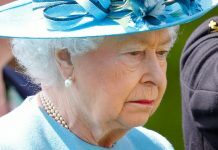 His instructions from the Queen were to sever Charles’s relationship with Camilla Parker Bowles because it was a mess and was detracting from his work. This is certainly how the people in St. James’s Palace who worked with Peat during those first months viewed the situation. Camilla had been the Prince’s mistress, he’d all but admitted to having an adulterous affair with her, and now she was sharing his bed, his house, and his life. And she was being seen in public by his side, but not as his wife. For a man who would one day lead the Church of England, this was an awkward situation at best. She had to go. It didn’t take Peat long to realize that this was an impossible dream. The Prince would never give up Camilla, no matter what, and so Peat rapidly changed tack and, with the zeal of the freshly converted, became the loudest, fiercest advocate for their marriage. While the Prince’s former deputy private secretary Mark Bolland had laid the groundwork for it, Michael Peat was the man who made it happen. But there were obstacles to overcome first. It needed not just the Queen’s permission but customarily that of the state, the Church, and the great British public. The Prince of Wales really is the most curious character. In his usual way, he was dithering. On the one hand he had stood his ground against his parents, the media, and the voice of the nation in making Camilla non-negotiable. A man who for decades had dedicated himself to duty, to doing the right thing, suddenly put everything he stood for and had worked for in jeopardy because of Camilla. On the other hand this wasn’t the first time he had needed to be persuaded to do the right thing by her. “I don’t think the Prince was happy with the way things were,” says a former member of the team, “but he couldn’t see a way of making it work. He’d been through a lot of bad times with the public, and I think he was probably nervous about putting himself back in a negative situation, damaging the monarchy, and he didn’t know whether he could persuade the Queen to accept her. I think he thought all of these things insurmountable, and he really didn’t know what to do. The Prince is too diffident and nervous, and I think he was scared.” Marriage was the only way their relationship and the Prince’s reputation would be able to move forward. Michael Peat went to the Prince and told him very clearly that either Mrs. Parker Bowles must go or he must marry her. They could not, under any circumstances, go on as they were. And he gave Charles the confidence to believe it could be made to happen. Charles adored Bruce. He loved the whole extended Shand family and in turn they were very fond of him, but Bruce spoke for them all. They felt that Camilla’s situation was precarious and a bit unfair, and although she herself had never wanted marriage in the past, things were different now. She felt herself to be neither one thing nor another and was secretly grateful to her father for putting pressure on Charles. Having been at Buckingham Palace for nearly 15 years, where he had been close to the Queen, Michael Peat was the perfect person to pull all the essential strands together and iron out the complications. He was well acquainted with the Queen’s private secretary, Sir Robin Janvrin, and Janvrin, being sympathetic to the Prince, was willing to offer helpful advice to the Queen. And although Tony Blair, the prime minister, had been the one to christen Diana “the People’s Princess,” both Blair and Janvrin appreciated how important Camilla was to Charles, a stark contrast to Prime Minister Stanley Baldwin’s reaction to Edward VIII’s relationship with Wallis Simpson, for whom Edward abdicated the throne. The final component was the Church, which then frowned upon second marriages if a spouse was still living (as in the case of Camilla’s former husband, Andrew Parker Bowles). The solution was a civil ceremony with a church blessing. The engagement was announced shortly before half past eight on the morning of February 10, 2005, and within an hour the world’s media had set up satellite trucks and cameras at Canada Gate, in the Mall, opposite Buckingham Palace. Pundits roamed from one camera to another to be asked about their particular field of expertise. Most people seemed to be pleased and thought it about time, but not everyone. One woman I met outside Clarence House was so angry she had traveled across London to protest: “If Charles is going to marry that woman,” she said, spitting out the words, “he should never be King.” And some of the e-mails viewers had sent in to BBC Breakfast, the British equivalent of the Today show, the next morning were so terrible they couldn’t be read aloud. “The adulterer should not be allowed to marry his whore” was one I happened to see. Julia Cleverdon, then the chief executive of one of the Prince’s charities, and the Prince’s great friend and sanest supporter in all things, was uncharacteristically in bed at home with a raging temperature when Elizabeth Buchanan, one of the Prince’s longest-serving private secretaries, rang and said, “Julia, I’ve arranged for you to be on the other side of the Windsor doors as they come through because Mrs. P.B. must be able to see somebody she knows in the flashing bulbs of the paparazzi.” Julia pleaded a temperature of 102. “I don’t mind if you’ve got a temperature of 106. 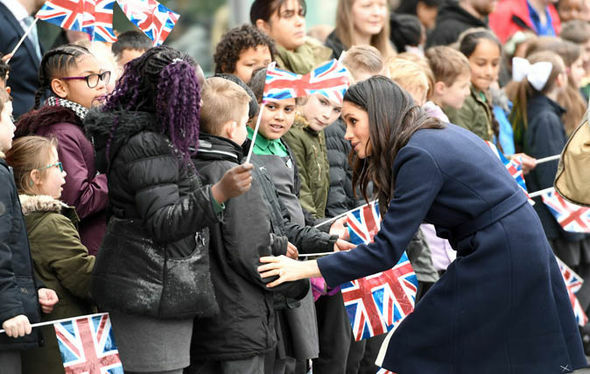 Get to Windsor!” So, after Charles and Camilla came through the doors the night of the ball, beset by flashing bulbs and requests to see the ring, Julia was behind them. “There were very funny pictures in Hello! magazine,” she says, “of me scarlet in the face.” The ring, reportedly about $190,000 worth of platinum and diamonds at the time, had been a gift from the Queen. It was a 1930s Art Deco design, a central square-cut diamond with three smaller ones on either side, which had belonged to the Queen Mother and had been one of her favorites. 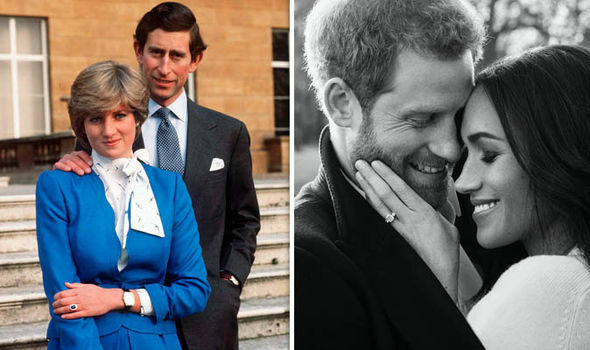 When asked at the photo call how she felt, Camilla said she was just coming down to earth, but she coyly dodged the question of whether the Prince had gotten down on one knee. The wedding was originally set for April 8 at Windsor Castle, and after a multitude of obstacles along the way—including a change of venue from the castle to the town hall, postponement for a day because the original date clashed with the funeral of Pope John Paul II in the Vatican, arguments about whether it was right or wrong for the country, good or bad for the boys, what kind of service it should be, whether Camilla should be called H.R.H. the Duchess of Cornwall or something more low-key, and what the Princess of Wales would have thought—it finally happened. And the sky didn’t fall in. 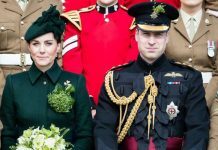 The couple had a civil ceremony at the Guildhall, Windsor’s town hall, followed by a church blessing at St. George’s Chapel and a reception at the castle. Charles and his sons had been holidaying in Klosters just before the wedding and had posed for the annual photo call with the media, which none of them enjoys. The Prince hadn’t realized how sensitive the row of microphones in the snow in front of them were and was clearly heard saying, “I hate doing this. 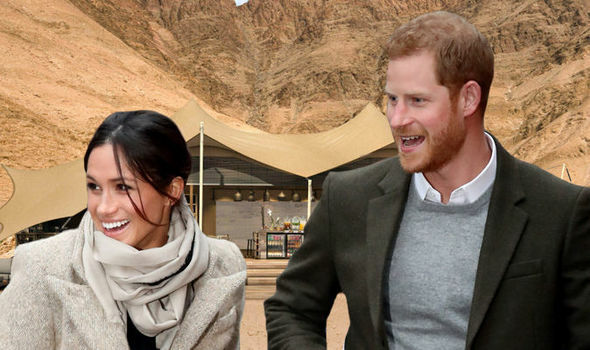 I hate these people.” After the BBC’s royal correspondent asked the boys for their thoughts on the upcoming wedding, Charles muttered, “Bloody people. I can’t bear that man. He’s so awful, he really is”—and his words were recorded for posterity.